Lots of pink colorful mesembryanthemums (ice plant) flowers. Light pink mesembryanthemum ice plant close up. Pink and white British colorful mesembryanthemums (ice plant) flowers. 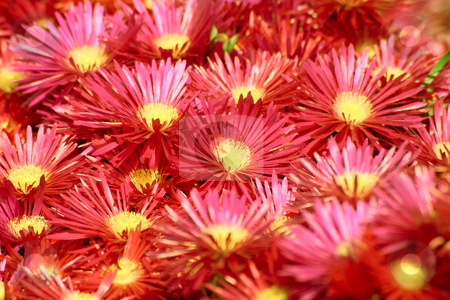 Photo of Bright red mesembryanthemum. Bright red mesembryanthemum. Also known as Livingstone daisies and ice plants.